pool for swimming in. Brew yourself a great shot of latte the way you like it with your personal in-room coffee maker, and naturally the units at Casa Del Sol Motel are air-conditioned to keep you comfortable. When the sun is out at Casa Del Sol Motel you can always enjoy a good barbeque at the picnic area, and feel free to use one of the offered irons to keep the wrinkles at bay. 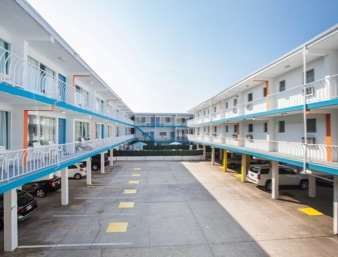 Nearby Splash Zone Waterpark is enjoyable for everyone; Post Creek Basin is right here at Casa Del Sol Motel. If you came for an overnight stay Wildwood Canadian Campground is a good location to camp, and you can spend the day on the beach at Mile Beach. 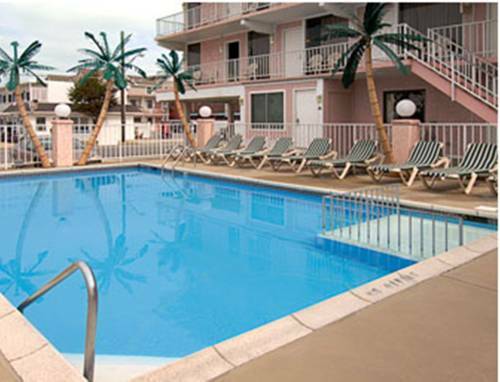 These are some other hotels near Casa Del Sol Motel, Wildwood. These outdoors activities are available near Casa Del Sol Motel.